A 3D manicure in minutes! Nazila introduces ‘Nail Glitz’, a unique collection of highly embellished false nails offering a fabulous and creative look in minutes. Nail Glitz can be worn as a whole set, and those less daring who still want to stand out from the crowd can simply add one or two feature nails over natural or polished nails. Each pack contains 24 nail pieces which can be mixed and matched to complete any outfit or look, and can be used up to 4 times with the enclosed sticky tabs, use professional nail glue for longer wear. 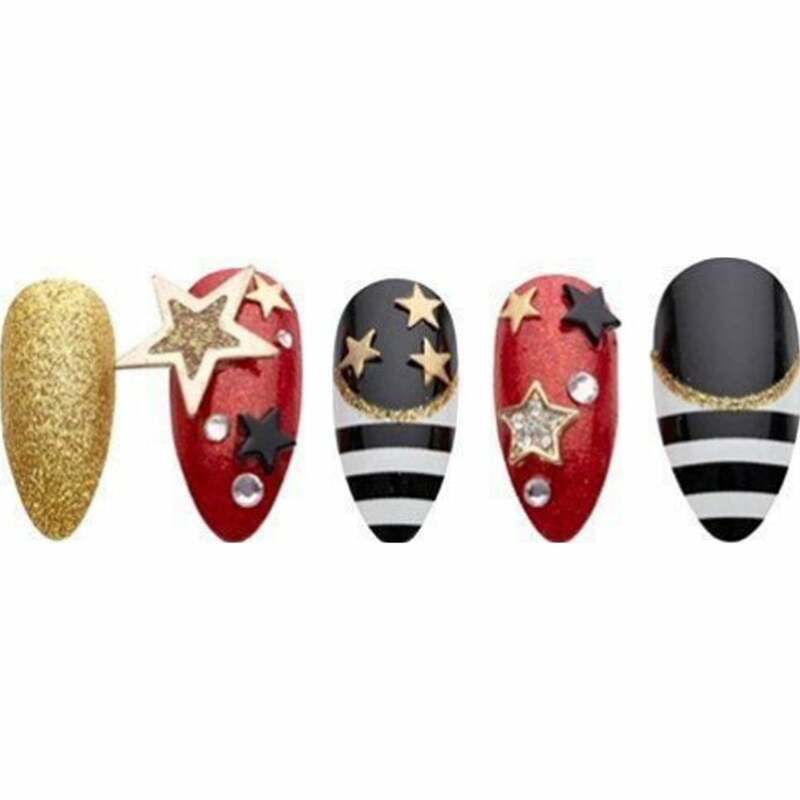 Nazila Nail Glitz has been worn by celebrities and presenters on a variety of TV shows including Made in Chelsea, Britain’s Got Talent, and X Factor, and is regularly featured in magazines including Scratch Magazine, the nail industry’s leading monthly publication, Cosmopolitan, Asian Woman, Look, and Grazia.